As the premier Orange County moving company, we know that relocating can be a stressful process. Whether you’re moving a studio apartment or a sprawling business space, every transition presents its own set of challenges. It’s for these reasons and more that many residents turn to professional movers to expertly handle their relocation. With so many Orange County moving companies to choose from though, how do you find the right one? Industry awards and accolades show a long-standing commitment to providing quality moves and exceptional customer service. Ask potential movers about their affiliations, Better Business Bureau rating and industry achievements. Seek out a company that specializes in the service you require. If you’re moving within the area, look for local movers in Orange County that have a long history of serving the community. Should you need business moving services, choose an experienced, professional commercial office moving company that works as an agent for a national transportation company, such as Wheaton World Wide Moving, to ensure they have the resources necessary to accommodate a commercial relocation. The best testimonials are those that come from previous customers. 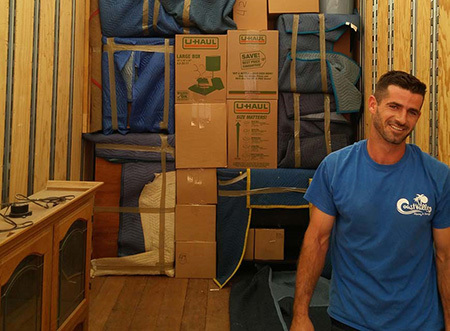 Before you hire a moving and storage company, browse their website’s review section. A 5-star reputation speaks for itself! It’s natural to have questions throughout the moving process or to want to check in on progress. Ask your potential movers if they have the support in place to swiftly answer your questions and provide you with frequent updates. If you’re looking for a reliable Orange County moving company, look no further! Call us today to learn more about our residential movers or office movers, or fill out our online form to request a free estimate.